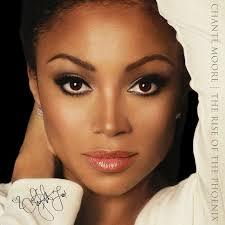 Since arriving on the R&B music scene over 15 years ago via her sensual debut single “Love’s Taken Over,” Chante Moore has flourished into an accomplished female favorite. Billboard singles like “It’s Alright,” “This Time” and the top two smash “Chante’s Got a Man” helped put her name on a short list of artists known for consistency. New album Moore is More in stores and on Amazon and Itunes NOW!